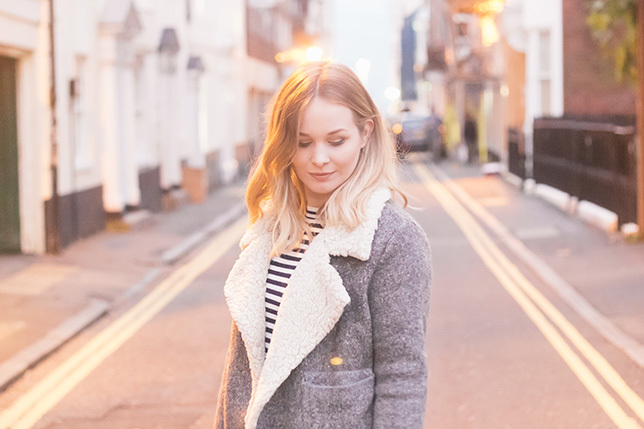 It was a chilly Thursday night, my boyfriend and I were on our way to a lovely meal and I had my blogging camera with me. That is the background to this photo. There was no big photoshoot, no pre-planned outfits and only a little bit of reapplied make-up. Now, this might not sound like anything revolutionary, but I think it's easy to get caught up in the 'editorial' aspect of blogging - where everything looks pristine and shiny. Don't get my wrong, I love pristine and shiny - but this post is a refreshing little reminder to myself that not everything has to be Vogue-ready. Now, to the important things - the jacket! 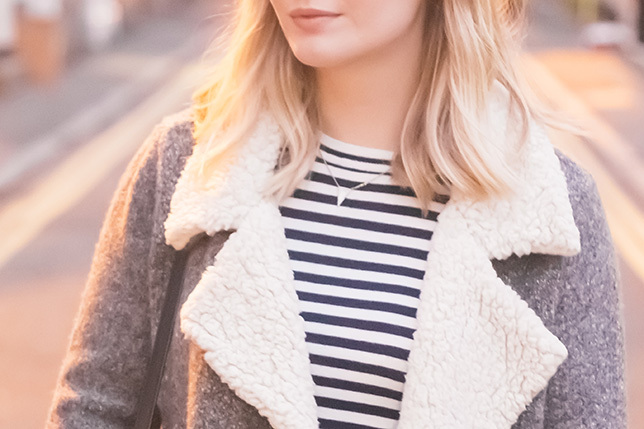 This is a new little number from Zara, it's actually more of a knit than a jacket but it's perfect to layer over any outfit for an instant cosy touch. I love the nod to the 70s that shearling has and the grey hue means it can be paired with anything - that's my kinda jacket!